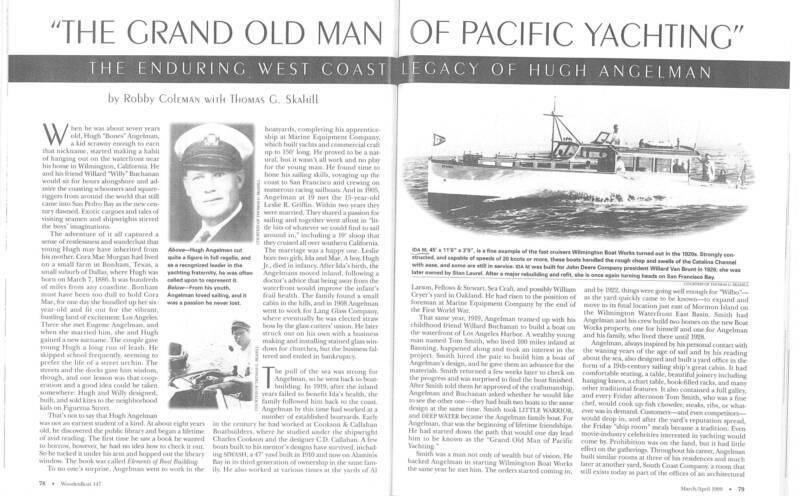 Below is an amazing article from Wooden Boat Magazine, March/April 1999 which is featuring one of the greatest yacht builders of the 20th century, Hugh Angelman. Also featured in this 6 page article is the Ida May below. The Ida May is Angelman's fine example of a fast cruiser mixed with elegant craftsmanship which embodies the Ida May. 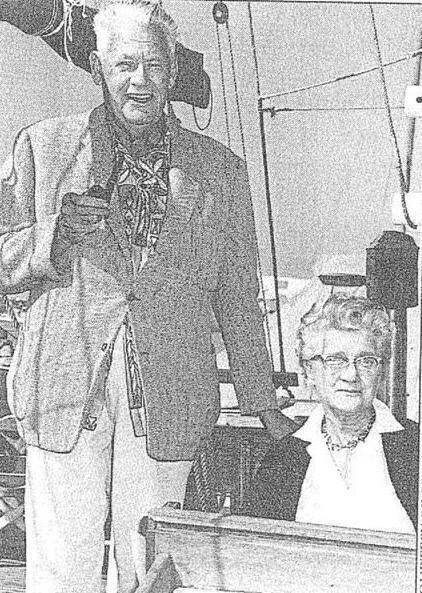 Angelman was known as "The Grand Old Man of Pacific Yachting" and was building and designing boats for over half a century. Angelman and his wife Leslie in 1960 on their ketch the Sea Rover. "Well race 'em for money, marbles or chalk"
Hugh Angelman made that statement in the early 1920s, in an effort to scare up a match race between his yacht Ocean Waif and any other sailing craft of any type on the Pacific Coast. 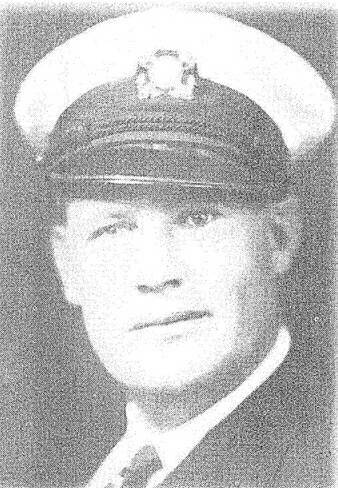 Born Hugh Morgan, March 7, 1886, in Bonham, Texas, he became known as the "Grand Old Man of Pacific Coast Yachting," He was said to have been a direct descendant of Sir Henry Morgan, the 17th century buccaneer. He loved the sea and everything connected with it. It was out of this love that many of his designs came. His designs and racing ability won him acclaim and a storehouse full of trophies. He was one of the founders of the Los Angeles Yacht Club and a member of Catalina Island and Portuguese Bend Yacht Clubs. In 1907, he married Leslie R. Griffin, who shared his love of the sea. In 1919, Hugh together with a partner, formed the Wilmington Boat Works, where he designed and built some of his more popular boats, including his own Sea Rover, built in 1940. During the war years he designed and built FT boats, minesweepers and subchasers for the Navy. Known as perhaps the finest designer and builder of the times, Hugh was chosen by his fellow West Coast shipbuilders as their arbitration representative to the United States Government. Harboring a dislike for designing and building for the Navy and the strong desire to return to the sea, he sold his interest in the Wilmington Boat Works in 1945, and went back to his own drawing board, with a determination to build boats everyone could own. He was able to continue his designing except for a brief period during the Korean conflict. Among his later designs were the Sea Witch, Sea Spirit, Sea Dream and Pelican Classes, as well as the 40's Mayflower Ketch. He spent his remaining years at his home in Long Beach, and aboard his yacht SeaRover in Newport Beach. After this totally inadequate biography of a truly great designer and shipbuilder, we offer the reader a brief insight into Hugh Angelman the man. The following is a paragraph taken from a letter sent to a friend during World War II. It should be read remembering his dislike of building for the Navy and his desire to return to the sea. "We are building the ship with a deck load of Gold Braid, a bottom planked with creditors and a cargo of confusion. However, we walk the quarterdeck with a determined stride and steer a straight course, although the compass goes around with the sun. It seems a long and devious route must be sailed before we fetch up in Catalina Harbor, so we are carrying on."